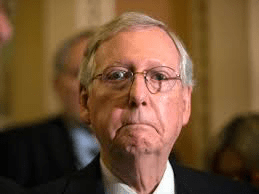 The action produced an interesting dynamic…..
Senate Majority leader Mitch McConnell, the Republican who carries the water for President Trump in the Senate lead the charge for the non-binding amendment to be added to a bipartisan Middle East policy bill that will easily pass both houses of Congress…..
Democratic Senator’s running for President in 2020 did NOT support it…. The Democratic led House is in agreement with the Senate effort …. There IS a bill being drafted that would actually prevent Trump from the troop cuts unless his admin came to Congress to get its approval for that action…. Without directly invoking the president’s name, Mr. McConnell countered Mr. Trump’s isolationist policies, arguing that “it is incumbent upon the United States to lead, to continue to maintain a global coalition against terror and to stand by our local partners.”…..
One didn’t vote at all…. The 2020 crew stay out it again….